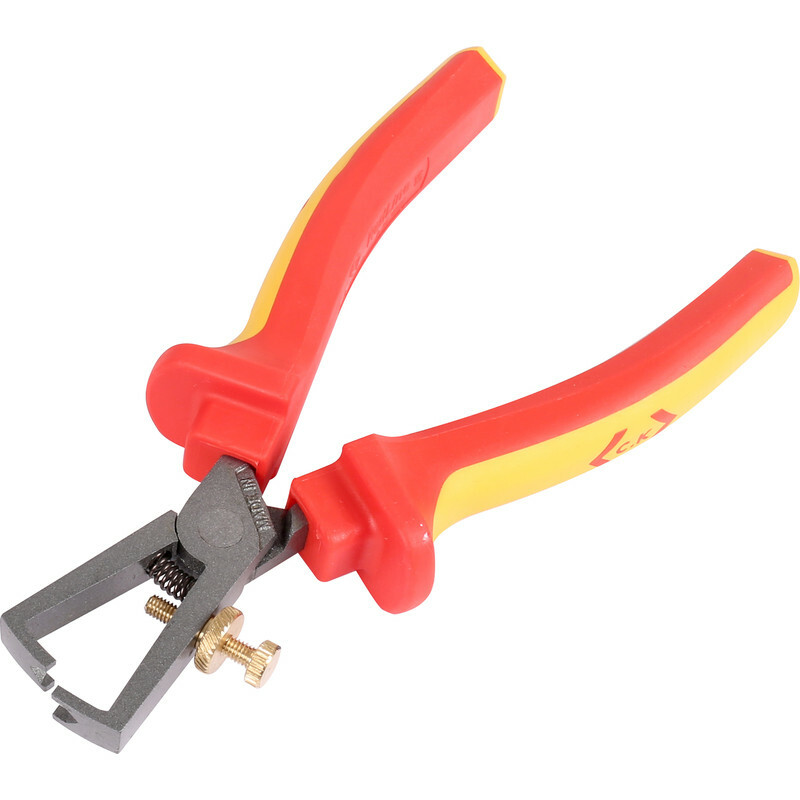 Premium VDE wire stripper. Micro adjustment. Certified to VDE 0682/201:2005 01 and IEC 60900:2004. GS approved. DIN ISO 5232. VDE certified and individually tested to 10,000V for complete safety when working on live equipment up to 1000V. Drop forged chrome vanadium steel for strength and durability. Induction hardened and precision ground cutting edges. Micro adjustment for damage free repeatable results. Spring assisted opening for convenience. Ergonomic dual component handles offering the perfect balance of grip and comfort. Certified to VDE 0682/201:2005 01 & IEC 60900:2004. GS approved. DIN ISO 5232. C.K Redline VDE Wire Stripper 160mm is rated 1.0 out of 5 by 1. Rated 1 out of 5 by 69Brian from Not to my liking Cannot get on with this tool, gave it away. Prefer to use the type where there are numerous slots for different size wire. Having to adjust the locking screw & nut is too fiddly.